Carson Lanes Restaurant Specials for Relay for Life Fundraiser on June 17th @ 7pm. 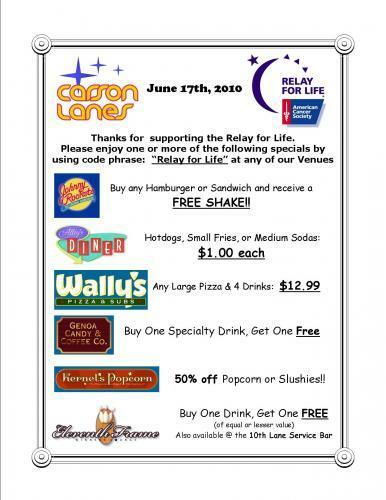 Grab 4 people and come on down to Carson Lanes at 4600 Snyder Ave. Enjoy these specials before, during, or after the event. 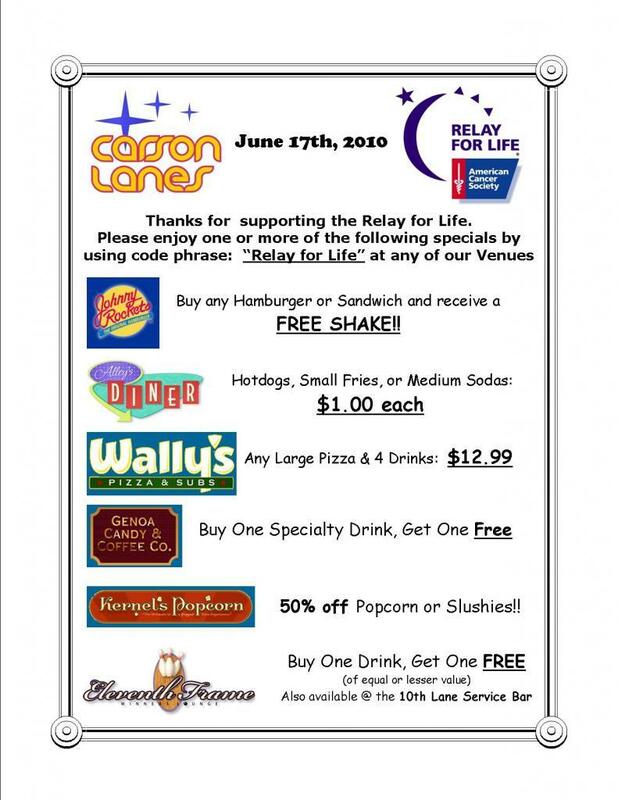 Use promo code: "Relay for Life".